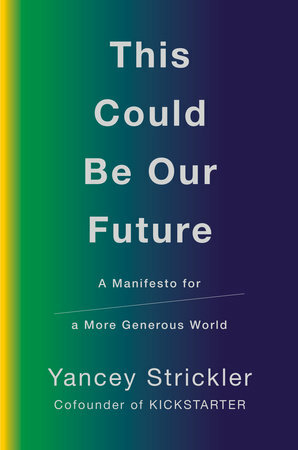 On October 29, Viking/Penguin Books will publish This Could Be Our Future: A Manifesto for a More Generous World. It's about something I call financial maximization. That’s the belief that the right choice in any decision is whichever option makes the most money. Financial maximization is the default setting that runs our world. The pursuit of financial maximization has created unprecedented prosperity — and significant consequences. Corruption, environmental exploitation, inequality, mass displacement, and a growing social disconnect can all be traced to its influence. This Could Be Our Future is about how we got here. And where we should go instead. Our world feels locked into place. It isn’t. Things were very different not that long ago. Somehow we got from there to here. Just as we’ll get from here to somewhere else. The answer isn’t to make more money, or even to get rid of it entirely. It’s to expand our concept of value. A world of scarcity can become a world of abundance if we expand our idea of value. New forms of rational value — that help to grow things like community, sustainability, and purpose — are possible. Some exist already. This is the ideaspace that This Could Be Our Future explores. Keep in mind that it’s me writing this. I’m not an economist, historian, or philosopher. I explain these ideas the way they make sense to my civilian brain. The book uses pop culture references (Adele, Pulp Fiction, and the three-point shot all make appearances), my experience with Kickstarter, and things that actual economists, historians, and philosophers have written to make its case. I'm very happy with how the book turned out, and can’t wait (slash am totally terrified) to hear what y'all think. To pre-order This Could Be Our Future, click here. To get it on Amazon, click here. Before dinner, my wife and three-year-old like to play a game. It starts when Omma (my wife) pours him a cup of milk. As she pours, she marvels at how much there is. “You really think you can drink all this?” she asks. But when she goes to bring him the cup, there’s a problem. Because there’s so much milk, the cup is too heavy to lift. Like a silent movie actress, Omma dramatically struggles to pick it up. She fake-lifts with both hands as hard as she can. But no matter what, the cup won’t budge. Our son then reaches over, casually picks it up, and takes a big slurp. “How are you so strong? ?” Omma asks, incredulous. He laughs. Here’s the other funny thing about the game: it gets genuinely tiring to pretend that the cup is heavy. I don’t mean tiring as in tedious. I mean tiring as in physically tiring. If you go for it with 100% gusto, pretending that the cup is heavy can feel nearly as strenuous as it actually being heavy. Try grabbing the nearest object with both hands, screwing your face into a Sly Stallone scowl, and pretending it’s the heaviest thing in the world and it’s your job to lift it for ten seconds. Our brain tells our muscles to clench for a powerful lift. Our body coils in anticipation of this major exertion of force. Maintaining this pre-lift pose for even ten seconds takes significant energy. For parts of our body, pretending that something is heavy and actually lifting something heavy are the same experience. Reality isn’t always required for something to be real. No one understands this better than Donald Trump, who has successfully kicked sand in the public’s eyes about what’s real and what isn’t for three years running. The latest in Trump’s assault on reality was the release of a four-page memo by Attorney General William Barr that claimed to summarize the Mueller investigation and clear the President of wrongdoing. The rollout of this memo reminded me of my wife’s game with our son. Trump and Barr pretended the memo was as weighty as the Mueller investigation even though it spent more time reporting meaningless statistics (how many witnesses interviewed, etc) than what the investigation actually said (only four partial sentences from Mueller’s actual report). But don’t worry, we were assured, even though we can’t show it to you for national security reasons, it totally proves the President is super-duper innocent. Another A1 New York Times headline declared “A Cloud Over Trump’s Presidency Is Lifted.” Cable news chryons said the Mueller Report exonerated Trump (it didn’t, and we still don’t know what it actually says), that the Russia investigation was settled and behind us (it isn’t), and that the President wanted it released in full (no way in hell). All of this about a sketchy summary of a report that no one except Mueller's team and the President's administration have read. Trump has successfully seeded the public consciousness with a pre-judgement that he's been declared innocent (by himself, the only voice that matters) regardless of what the actual investigation found. Trump’s non-reality space continues to successfully compete with the “reality-based community," as a George W. Bush advisor once derisively described the world of facts compared to the ideology-based, self-serving thinking of that administration and this one. Trump promises to release the report in the coming weeks, but I'm not holding my breath. More than once the administration has used shifting deadlines to deflect attention from unfavorable stories, discourage opponents from mobilizing, and then do the thing people saw coming all along anyway. I expect continued counter-narratives and even further partial excerpts intended to sow more confusion. I can imagine why Mueller would hesitate to charge these things. It can't be easy to prove a criminal conspiracy when the boss at the center of it is the President of the United States and it's unclear what counts as a crime and what does not. This is uncharted territory. Mueller’s report likely lays out this predicament, leaving it up to the American people and its political system to decide what to do about it. But that assumed we'd be allowed to see what was found. It assumed that this gang would play it straight. Instead, the cover up is continuing right in front of our eyes. 1) Vote Trump out of office in 2020. More on that in a second. 2) Stop waiting for someone else to address the Trump problem. Too many of us sat on our hands waiting for Mueller and the authorities to solve this. They haven’t. The waiting game is a winning game for Trump. The longer this goes, the more damage he does and the more he becomes normalized. What does it mean to stop waiting? I keep thinking about South Korea in 2016, when citizens held vigils protesting a corrupt President for six straight months. She resigned. The voice of the people, consistent and respectful, remains undeniably powerful. The million-plus people marching in the UK to stay in the EU shifted that debate. What does it take to create such a movement in America today? Is there a sign-up sheet where I take my shift sitting-in outside the White House? The people can't keep waiting for politicians to do the right thing. I’ve repeatedly made the case that Trump is likely to be impeached and reelected in 2020. He’s the odds-on favorite to win, and I don’t think impeachment changes that. But if — an important if — it does end up being the case that the Barr memo is yet another attempt to block the American people from learning the truth about how its President came to power, this leaves Democrats with no choice but to impeach. The Presidency is an office built on precedent. What the last President did tends to continue on with the next one. As far as I’m aware, the Constitutionally sketchy spying programs that the Bush administration created continued under the Obama administration. By then they’d become normalized. They were just another tool in the belt. If left unpunished, it will be the same with a lot of what Donald Trump is getting away with. Tax evasion, campaign donation violations, money laundering, and outright fraud will become new normals for politicians if Trump is left unchallenged. The idea that the President or any politician should be above any kind of criminal behavior will be hard to defend after two terms of Trump. Impeaching Trump requires a good reason (of which there are several) and a majority of votes in the House of Representatives (which, thanks to midterm voters, the Democrats have). But impeaching Trump does not remove him from office. For that, 2/3rds of the Senate is needed. There’s no way 20 Republican Senators will vote against him. Impeaching Trump is symbolic. It will not remove him from office. But the symbol is important for future precedent. Still, impeachment is not an easy call. In a Wall Street Journal/NBC News poll this week, 49% of people wanted impeachment or further investigations of Trump and 47% said impeachment proceedings shouldn’t start and Trump should finish his term. In a poll by The Economist/You Gov in early March, just 17% of Republicans supported impeachment if Donald Trump were proven to have asked Russia for help to win the election. To put this in context, 20% of Americans believe Big Foot is real. Rubber will meet the road through the legal process. Prosecutors in multiple states and federal districts are pursuing criminal cases against Trump and his organizations, and House Democrats are using their subpoena power to attempt to gain access to Mueller's findings and Trump’s tax returns. Will Trump continue to successfully flaunt the law or does the law still matter? That question (including whether we see the full Mueller report) could make its way to the Supreme Court, where Chief Justice John Roberts will cast the most important swing vote in American politics since Bush v. Gore. If Trump loses in 2020, these constitutional questions become moot and the justice system can deal with Trump while America repairs and rebuilds. But who can beat Trump? I want to once again put in a word for Mayor Pete Buttigieg. He’s far from the only worthy candidate and he remains an extreme long-shot, but I like how he faces off against Trump. In a race between Trump and Buttigieg, the choice wouldn’t just be left versus right. It would be young versus old. Or, as Buttigieg likes to frame his idea of generational change, young and old working together to solve our hardest problems. That can be a winning argument. It shifts the metaphysics of the race into a place where Trump is weak and likely to be self-conscious (as the old guy, the no-longer-new thing, etc) into a place where the Democratic candidate is strong. And it’s not like Mayor Pete is some Fyre Festival-attending millennial. He’s an ex-Marine who comes off as very sober-minded. He has the vibe of someone who’s been pre-old their whole lives. He's probably had monogrammed slippers since he was eight. I like how his candidacy would shift the race. It creates a new field of competition. That’s the kind of move required to topple Trump. For six weeks while writing the book, I worked from the home of an 89-year-old woman named Noel Osheroff. I first met Noel after being invited to speak at an event held in her house last fall. Afterwards, Noel very graciously invited me to write there. I accepted. 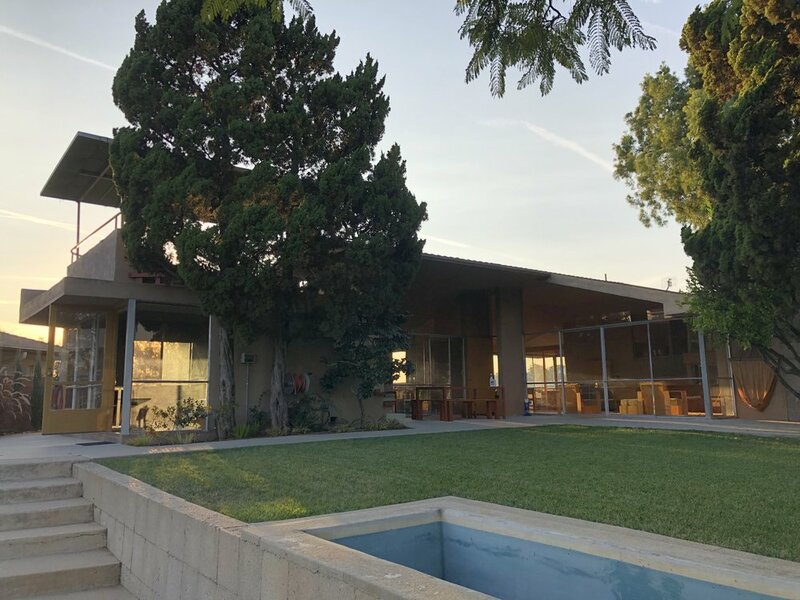 Noel’s house was built in 1934 by famed architect RM Schindler. Her parents commissioned the house, and Noel grew up in it. After not living in it for sixty years, Noel returned to it last year to restore it. Here's a picture of the house I took one afternoon. For November and December, Noel and I were unlikely coworkers. While I wrote in the back bedroom (the far left in the picture above), Noel worked on the house. By "worked on the house," I don’t mean Noel rearranged pictures or bossed people around. I mean I watched Noel expertly take an electric sander to a door frame while on a ladder. One day she took apart every chair in the house, re-stained them, and put them all back together again. She drove her Chevy pick-up to get supplies at the store. All of this by herself and all of it at 89-years-old. Watching Noel was like watching a superhero in real life. The first day I worked at Noel’s she said to me: “I’m ignoring you because I think that’s what you want me to do.” I thanked her for her thoughtfulness. She was right. But talking to Noel was fun, and we’d chat once a day. I enjoyed sharing what I was thinking and looked forward to her perspective. One day she pointed out that when she was born, there were 3.5 times fewer people in the world than there are today. We have the same amount of land and 3.5 times more people. Why doesn’t anyone else see how this is at the center of our challenges? she wondered. The stillness of working at Noel’s helped me complete the last stretch of the book. Two weeks ago I sent a finished manuscript to my editor. Though we still have edits to go, I hit my deadline. The feeling was even better than I imagined. Last Friday I stopped by Noel’s to return my house key and to share a gift: the first print-out of the manuscript. I thanked her again and again. She told me I was good for her ego. Afterwards we took a selfie. Noel’s work on the house has finished too. It's back to its original condition, and Noel is renting it out. * As for Noel, she’s onto the next project: hand-restoring the house in Venice where she raised her family. There’s always more work to do. *If you’re interested in staying at Noel's, reply to this message and I can put you in touch. Here’s a paywalled Monocle article from last year about Noel and the house. In two previous emails I’ve declared my belief that Trump is likely to be reelected. Even with his historically poor approval ratings. Even if he’s impeached. Some of the first polls about 2020 show his strength. Polling that came out last week shows that against the leading Democratic front-runners, Trump is neck and neck or a slight favorite. 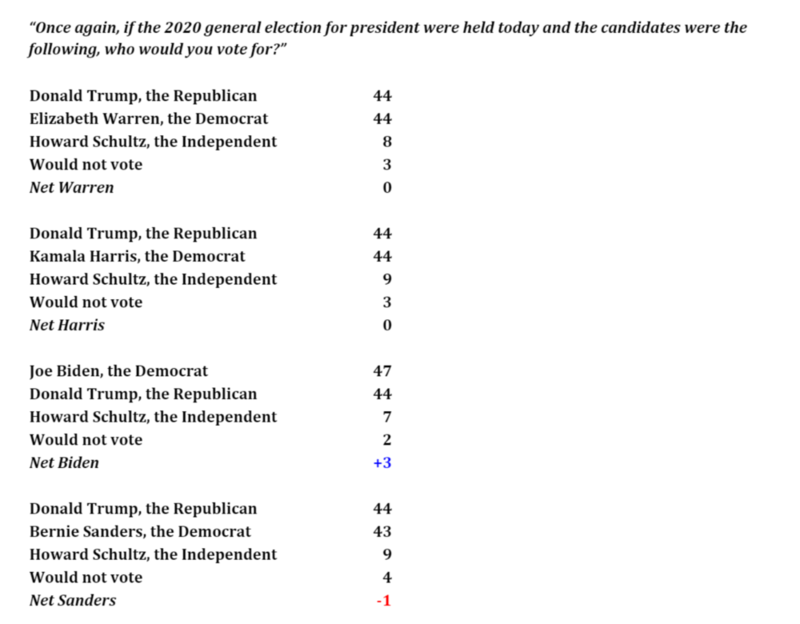 And if Starbucks ex-CEO Howard Schultz continues with his campaign, they show Trump winning against everyone except Joe Biden, who beats Trump in every poll. Trump is the favorite heading into next year’s election. Especially when you factor in the advantage enjoyed by incumbents, and the fact that Republicans have won 40% of Presidential elections this century while losing the popular vote. For a Democratic Presidential candidate to win, their margin of victory has to exceed the impact of the Electoral College. Like passing a bill in Congress these days, somehow having a majority of votes is no longer enough. Who will Democratic voters nominate to run against Trump? Recent history would suggest a woman. In Democratic primaries for the 2018 elections where a woman ran, the woman prevailed 71% of the time. (For the smaller number of Republican women who ran in primaries, 35% of them won.) Democratic voters were excited to vote for women, and they'll continue to be. This bodes well for Elizabeth Warren, Kamala Harris, and Kirsten Gillibrand, who are among the front-runners in the Democratic field. The big question is which of them — or if any of them — can beat Trump. Democratic voters will probably want a candidate who can out-Trump Trump. Someone who can be an even louder voice. Who can take up just as much space. We forget it now because she lost, but this is what Hillary did. She dominated the debates. Her social media was pointed. She was just as much an alpha as Trump in many Trump-ian ways. And we know how that turned out. The difference in 2020 needs to be starker. It needs to be someone whose very presence signifies the rottenness at the core of the other side. It needs to be a significant difference on the level of values, not who can deliver the biggest punch. One long-shot candidate I’m excited about: Pete Buttigieg, the 37-year-old mayor of South Bend, Indiana. Buttigeig is a gay former Marine who fought in Afghanistan, and a small city mayor. I recommend watching his appearance on the talk show The View last week. As gigantic an underdog as he would be, this is someone I could imagine standing next to Donald Trump and clearly signaling a vast difference in values, temperament, and readiness to lead. If I were managing the campaign of Trump’s opposition — whoever that may be — I’d portray Trump as the corrupt King Donald. A man who embodies the exact values and ideals that America forcibly declared its independence from at its start. A modern King George III. We’d run ads showing Trump in an 18th century powdered wig. The campaign’s spokespeople would be America’s Founding Fathers. Its slogans would be their past quotes warning against tyrants and greedy kings. A rotating cast of famous actors would portray Jefferson, Paine, Washington, Hamilton and others in 30 second spots that felt somewhere between KFC ads and an episode of Drunk History. The Founding Fathers would be swooping in like a Colonial-era Justice League to defend the Republic. Would that be enough? Would that move the needle? With four more years of destruction to our institutions, environment, and social fabric at stake, no idea should be off the table. In my last email, I wrote that Brexit was "not a bad idea." I noted the possible long-term upsides and acknowledged the viewpoint behind the decision. Left unstated was that this position is based on an extraordinarily pessimistic view of the world. To justify raising the draw bridges, you'd need to see the world as a pre-zombie apocalypse where the mayhem is about to begin so we might as well start it ourselves. This is a dire way of seeing the world, and no way to run society or live life. Ideas like these manifest the realities they claim that they want to stop. I couldn’t see the world more differently. So I want to clarify: Brexit is not a bad idea, it's a terrible idea. It’s a waste of time. It’s not solving a problem, it’s creating a problem that's getting worse by the day. I recommend this extremely insightful talk by the former UK representative to the EU on just how bad it all really is. But I also try not to reject new ideas out of hand. I believe there are often benefits in going the other way, in straying from the pack. There are opportunities for learning and growth in everything. Those words on Brexit came from that spirit, not as an endorsement. I regret writing so flippantly about something so grave. The video for the Strokes’ “Last Nite" is perfect drunken innocence. Performing live on an Ed Sullivan-type TV show set, the Strokes are tight, careless, and cool. And tender. I love the sibling-like way Julian Casablancas throws his shoulder into his bandmates. Craziest of all? This video is almost twenty years old. This essay by Mike Pace in The Creative Independent called "I am not the next big thing: on creativity and aging" is thoughtful, wise, and will help you love yourself more. I felt the same about this TCI interview with DJ Juan Mendez on taking care of yourself while having a job surrounded by partying. As is typical, I leave you with a mix. One of my favorite musicians is named Bill Callahan. I made a mix of his best work that I’ve shared with friends over the years, and I've recreated it on Spotify since he was recently added to streaming services. Check out my Rough guide to Bill Callahan and stay warm out there. The news around the world today is Brexit. The headlines are about Prime Minister Theresa May’s decision to delay a scheduled parliament vote on her proposal for the UK’s departure from the EU. Without the delay, the deal would have ended in defeat. It still probably will. The whole thing is a catastrophe, to put it mildly. And by “whole thing” I don’t mean the vote itself. I mean the politics that have erupted ever since, beginning with former Prime Minister David Cameron’s decision to call the vote and then resign immediately after the votes came in. By shirking responsibility for an outcome that he invited, Cameron set the tone for what was to come. In the two years since, Theresa May, another conservative politician — and one who personally voted against Brexit — has had the impossible task of negotiating an exit with the EU that would fulfill the grandiose promises of the politicians who campaigned to Leave. A vote to Leave, they said, would result in instant British sovereignty, increased social services, and on and on. The deal that May struck will create UK independence, but it will take time. It’s a gradual transition, with certain agreements staying in place for a bit to prevent total disruption. From my understanding, in about three years the UK would be close to fully on its own again. The conservative politicians who made this happen have vociferously argued against this deal because of this delay. “Unacceptable!” they charge. But really they’re hammering the deal because the politics of opposing it are good — nobody is happy with where this has ended up — and the politics of supporting it require more courage than any of these people have. So rather than do what they can to practically implement the events that they set into motion, they’re accusing May of betrayal. It’s mostly about a delay in implementation. But how important are three years, really? The short-sightedness is beyond me. These are massive, fundamental changes and the people in charge are mucking around with the politics of the moment, with winning the day’s headlines, and pwning each other on social media rather than taking responsibility for what’s happening. To call it childish would be an insult to actual children. Through all of this Theresa May has steadfastly tried to get the job done. She’s taken on repeated, challenging negotiations with the EU. She’s endured multiple of her cabinet ministers making dramatic resignations at critical moments to damage her. Today members of her party suddenly launched a no confidence vote to try to remove her form power. And yet she keeps on, the one adult in the room. My respect for her grows. As I watch her ordeal I keep thinking about a study that found that women and minorities tend to be made CEOs when companies are failing. Men don’t want to be the captain when the ship goes down, so they choose to give “diversity” a try and watch as that person takes the fall. That’s exactly what’s happening here. To my eyes, the failure of Brexit is not the original vote. The failure is in what has come after. The inability of the political class to look beyond their own immediate self-interest even for one second. In a moment that’s about the future of Britain, these men can only think of their little egos and the politics of now. It is small and it is shameful. As for Brexit itself, the whole thing is a distraction from much more important challenges. But still, I'm of the opinion that in the long run it's not a bad idea. Detaching from and decentralizing the global economy is something more countries may have to do in the future. To be clear, there is no universe where that divorce will be a smooth, orderly thing where nothing is lost. There’s too much that has to change and too many unknowns for that to be the case. Yet this is what the conservatives who oppose May are demanding. A pony would be nice, too. If Brexit happens, we should assume that the next five to ten years will be quite rough for Britain. Many unknowns to sort through and many opportunities to make even worse decisions. But some of these decisions are things we may all have to face. Think about where we are now, with the terrifying climate change reports, mass migration due to war and famine (which will only get worse thanks to climate change), and the increasing dependency on large corporations and their proprietary products and opaque algorithms. These challenges — not the next three years of local British politics — are the real stakes. Does it still makes sense, I wonder, for us to keep sending carbon-emitting planes, trucks, and ships around the world every second of every day to deliver avocados to Dubai and uni to London and iPhones to Tennessee? How sustainable is that, really? What’s wrong, I wonder, with a country producing all of its own goods? I think about Japan, a country where essentially everything is produced in-house, where everyone has a job supporting the furthering of Japanese society, where self-sufficiency is the goal. In a world that needs to change its behavior to limit the devastation of climate change, is that not what we’ll all ultimately need to do? Economists might say well, Japan is a low growth economy. To which I say: exactly. That might need to be what we all become if we want our societies and life itself to survive. The story of the past three decades is that globalized growth is the cure to all our ills. But that story does not appear to be sustainable. Both for reasons of climate and resources and because of the local politics it flares up (see: Brexit, Trump, Italy, and now France). The seeming naturalness of the path we’ve been on in recent history is beginning to diverge into a new path. Which is normal. Our current path hasn’t been here forever. The EU is only a generation old. It’s not the basis on which all life rests. The question we need to be asking is: ten years from now where do we need to be? Scientists say that by 2030, we will cross critical thresholds where climate change will get much more severe. What does it mean to be ready for that? What needs to change? For starters, we need to be self-sustaining. We need to learn to be more resourceful. We need to learn to fix and repair things, not buy new things. We need to learn that we can’t outsource everything — that every job is up to us to do. We’re not on the doorstep of a post-work world. We’re on the doorstep of needing to do real work for the first time in a couple of generations. I applaud this. It’s time we face up to what has to change. We can’t keep hiding from it. Brexit is a dramatic way to get there. This whole fracas and the mess it will continue to create in the next decade will be discouraging. But ten years from now? I suspect we may see benefits, though for different reasons than what inspired people to vote for it in the first place. A lot has happened since we last spoke about the President. His lawyer, his campaign manager, his national security advisor, and other members of his campaign have plead guilty for lying to the FBI and/or Congress about their contacts with members of the Russian government and intelligence agencies. The Washington Post points out that we already know about 14 different Trump campaign officials who had contact with the Russians during the campaign. This after Trump repeatedly denied any connection or communication whatsoever. As Marcy Wheeler, who blogs as the absolutely essential EmptyWheel, has written, 126 pages of Mueller’s report have already been made public in the form of extensive background information that’s come with each of these plea deals. It’s her belief that the anticipated “Mueller Report” is being written right in front of our eyes. The information in these filings strongly suggests that the special counsel will prove that Donald Trump collaborated with Vladimir Putin and the Russian government to swing the election in his favor. It is my belief that this will be proven with clear-cut evidence. But to go back to an earlier email on Trump and the OJ defense, will this matter? With a Democratic House being sworn in, impeachment proceedings will begin next year. Mueller’s findings combined with a Democratic majority in the House means that Trump will be impeached. You can count on it. But, as you may recall, this won’t actually remove him from office. All it does is officially censure him in a way that shames the President. But this President, as we know, is beyond shame. When Trump is impeached his case will then go to the US Senate, where Trump will almost certainly not receive the needed 2/3rds votes to remove him from office. That would take more than 20 Republican Senators turning on their party leader. It’s hard to see that happening. Which means that the likely outcome of all of this will be an impeached but still standing President Trump running for reelection against pick your choice of Democratic and potentially Republican challengers. And in that fight, despite Trump’s unpopularity and Democrats getting millions more votes than Republicans in the midterm elections last month, I would still put my money on Trump. The electoral map will be in his favor. The Democratic presidential candidate has gotten the majority of votes in six out of the last seven Presidential elections (Bush vs Kerry in 2004 being the one exception), but Democrats have lost nearly half of those campaigns because of the electoral college system. Think about that: more Democratic votes in six out of the last seven elections, and only two presidents to show for it. What happens if we learn Trump was in bed with Russia, rigged the election, gets impeached for it, and gets reelected anyway? God help us. I can picture the Peggy Noonan Wall Street Journal editorial about how F. Scott Fitzgerald wrote America is about second chances and Trump is getting his second chance. But if that’s where we end up, it may truly be the end of America as we know it. There remains a universe where Republicans turn on him. This would happen if a) public opinion on the right turns against Trump (89% favorable rating among Republicans, the highest since his inauguration) and b) Fox News turns against Trump. There's a chicken and egg there. Trump’s crimes might be so bad and blatant that this might happen. But it’s far from a given. There’s been enough dust kicked up already about the “witch hunt” investigation that all facts are ignorable. A lot of people have heavily invested their identities in the success of Trump. That’s a hard thing for anyone to let go of. In a universe where Republicans do turn on Trump, don’t expect much vindication. The new narrative on the right will be, well, you know Trump was never a real conservative. He was a secret Democrat all along. This is exactly how Republicans turned on George W. Bush after seven years of strident support. In the conservative history of American politics, the Trump catastrophe will somehow be a failure of liberals. It’s the American way. I really enjoy the music of Kurt Vile. He’s a master of crunching, monotonous grooves. His music is sophisticated and kind of stupid. He has good taste but doesn’t do anything fancy or complicated with it. He’s chill, man. I wasn’t crazy about his new album, Bottle It In, but I made an alternative version of the record that I think is my favorite thing he’s ever done. My goal was to make something like Can’s Future Days, just a long groove from start to finish. My version — called Let It Out — only includes the grooves. Twice in the past month I’ve gone to Joshua Tree for writing retreats and both times listened to nothing but this on repeat. Listen here on Spotify. Highly recommended. The book is nearly done! I have two more chapters to write and the road ahead is clear. By year’s end I hope to be wrapped up, then spend January and part of February revising with my editor. I’m very pleased with how it’s turned out and can’t wait for all of you to read it. More on that soon. Peace and love and thinking of you. In March of 2013 I flew to Los Angeles on short notice. I was with Veronica Mars’ creator Rob Thomas in Austin. I sat in his office as the $2 million budget that had eluded him the past eight years suddenly appeared through the magic of fans and the internet. He cried, overwhelmed. It was an amazing moment for Rob, the fans, and Kickstarter. It was also a big moment in Hollywood. Everyone had a project like Veronica Mars. The one that didn’t get the greenlight but they couldn’t shake. Only this one raised millions of dollars and broke the internet. This was new. That day my colleague Liz and I reached out to Hollywood people. Had they seen what was happening with Veronica Mars? Any projects they’d be interested in discussing? The responses poured in. The email we were most excited to send was to David Lynch’s team. Would David like to chat? Yancey’s in town and leaving soon, we white-lied. They wrote back. David would be happy to meet. How about coming by David’s for coffee the day after tomorrow? I canceled my flight to New York and booked a flight to LA instead. Thirty-six hours later I pulled my rental car up to a pink stucco house in the Hollywood Hills. It was one of those hairpin-steep, one-lane LA side-scrawls. I had to lean over the steering wheel to see the house numbers. I knocked on the door. A woman who worked for David answered. She was followed by a dog. “Sure,” I say. At the time I didn’t drink coffee. “How would you like it?” she asks. “However David likes it,” I reply, going with the flow. The two of us, David’s dog, and two coffees walk through the kitchen, out a side door, and up a stone path behind the house. Outside is arid, natural. Not manicured or lush. At the top of the path is an open concrete building. Glass-less windows, high ceilings, tables and chairs, and not much else. She walks me inside. “David, this is Yancey,” she says. Sitting at a drawing table is David Lynch. He’s wearing a white shirt buttoned to the top, khaki pants, and a blue workman’s jacket. His white hair shoots straight up. He steps forward to greet me. “Hi Yancey, I’m David,” he says. We shake hands. I take a seat across from him. He asks me where I’m from. We sit across from each other swapping life stories and sipping identical cappuccinos. He pulls out a pack of American Spirits. “Can I have one of those?” I ask. When was this going to happen again? He leans forward. I pull one from the pack. He lights it for me. We talk about his early days in LA. Moving here, making Eraserhead, living in an aging mansion with other artists. We talk Kickstarter. I pitch him on funding a Twin Peaks return — the ultimate dream project. But I can tell by his politeness that it won’t happen. “Anything I should make sure to do while I’m in LA?” I ask. He points up the hill behind me. I turn and look. “Those are jasmine trees. At night, only at night, they open up and make this smell. Have you ever smelled the smell? It’s the most incredible thing. “When I first came here I would go up into the hills at night and smell that smell. And I’d think, John Wayne smelled this smell. Marilyn Monroe smelled this smell. And now I’m smelling this smell. I thank him for his graciousness. We shake hands. Foolishly I didn’t follow David’s recommendation. I didn’t smell the smell on that trip. In fact, I’d forgotten all about this exchange until Saturday night. It was late. I was taking out the trash when a wave of soft perfume stopped me. It swam around my face. I was ready to close my eyes and rest my head on it. What was that? Then I realized: this is the smell. The same smell that John Wayne smelled. The same smell that Marilyn Monroe smelled. The same smell that David Lynch smelled. The whole story came back. When I last wrote I’d just finished a draft of the first half of the book. That's in the same place. But the second half has come alive in a new way. I spent August researching and thinking about the second half. No writing. Only thinking. I lived with the ideas, let them come to me. I drew them. Made videos about them. I read five research books in a week. It was as deep as I’ve ever gone. It worked. Last week I finished a 20-page narrative outline of the rest of the book. It felt like landing a plane that I always knew would get there but wasn’t sure how. Phew! Midway through the month I gave a talk for 4,000 people in Chicago. I used the keynote to test some of the ideas. The feedback during and after was great. When I walked off stage I couldn't wait to get back to work. It’s still rough. I await feedback from my editor and others. Months of writing and revising are ahead. But laying the ideas out in a way that I can look at it and say, yes this is what I think, this is why I’m doing this, is tremendously exciting. I highly recommended two of the books I read for research. Small Is Beautiful: Economics as if People Mattered by EF Schumacher is an extremely insightful and gentle manifesto about the future written by a German coal industry economist in the early '70s. One of his core ideas is that urbanization and abandoning of the land are serious mistakes. His view, well-argued, is that equal distribution of people, resources, and opportunities across geographic areas is necessary for a healthy society. As he sees it, the challenges of urbanization aren't only poverty and overcrowding, but the magnetic pull those cities will have on the young as the only places of opportunity. They'll starve rural communities of their human capital. As someone who moved from Virginia to NYC and now LA, this resonated and stung. Doubt and Certainty in Science: A Biologist's Reflections on the Brain by J.Z. Young is a series of ten brilliant lectures given on the BBC in the 1950s by a biologist explaining how the brain functions, and what that shows us about humanity as a whole. It's very accessible and alive. You can feel the wooden chair of the lecture hall seat and the buzz in the air as you read it. Two ideas stuck with me. First, he asks us to consider the fact that our brains are a tissue that specializes in creating memories. A physical material, a real thing that you can touch, does this. This isn't Harry Potter make-believe. This is in all of our heads. Wild. Young uses the metaphor of a stamp to explain how a memory is formed. Images repeatedly imprint themselves on this soft tissue, making an imprint that becomes deeper with greater exposure. This is how memories are made. If you're interrupted before the stamp makes the next imprint, the image and memory will fade. A striking image. Second, Young explains human history as the development of new frameworks through which to see the world. We teach our brains how to see. If a blind person gains sight later in life, it can take them a month to be able to identify a triangle, even though they know perfectly well what one is through other senses. They can touch it and know it's a triangle. But their eyes need time to "learn" what seeing a triangle is. Because learning an entirely new framework is difficult, people learn through the metaphors of existing things. As new frameworks are explained through comparison, others become able to see this way. The new way of seeing is like a new shape pressed onto the brain. New ideas build on old ideas. They stretch the boundaries. They note the lines and then color outside them. Young sees human history as a progressive narrative that evolves as much as our creativity and ability to communicate allows. What a beautiful thought. The best movie I’ve seen in a long time is Good Time. Made by the Safdie Brothers from NYC, it costars one of the filmmakers and Robert Pattinson. It’s a bank robbery movie that keeps the tension tight. Though the caper itself goes awry in every direction, the movie never loses focus. It never lets up. Yet there’s a gentleness to it. A kindness in its heart that reminded me of early Jarmusch — Down By Law and Stranger Than Paradise especially. The movie is dark but it's there. I came across Good Time when the Metrograph, a phenomenal movie theater in the Lower East Side, promoted its opening six months ahead of schedule. That must be something special, I thought. My friend Rafael saw and loved it. I got around to it only now, but it was well worth it. Listen and get lost in a haze of sweet-smelling night jasmine. The past year has felt like a lifetime. In a way it has been. I left my job and started writing a book. My family moved across the country. Life with a toddler feels like multiple lifetimes every week. There’s a moment from exactly a year ago that I keep going back to. It was a Monday, and I had an appointment with an astrologist. My wife had given me the gift of a chart reading. This is where you give an astrologist your exact time and place of birth (after calling your Mom to find out what those things are) and the astrologist tells you all there is to cosmically know about you. I met her in a borrowed jeweler’s office on 17th Street. After settling in, she started a recording of our session. Then we began. Astrologist: “Today is the seventh of August, 2017. It’s a lunar eclipse today. This is the astrological reading for Yancey Strickler. We have about an hour and a half. I’d like to spend the first half of the time going into your natal chart, which is this map of the sky the moment you’re born. And here I was walking in with the question of whether I should write the book I kept thinking about. This was all in the first five minutes. How much are you supposed to tip your astrologist again? The session ended with key dates for the year ahead. When I should be in nature. When creative inspiration might strike. My luckiest day of the year. Grading it a year later, some of it is uncanny. The date she predicted was “BAM — your luckiest day of the year” was the day I met the editor who bought the book and who I work with today. A “pivotal” date coincided with when I signed the book deal. Another with when I met my literary agent. At the time the book was just a glimmer in my eye. Not all the dates turned out. The day I was promised new income the check must have gotten lost in the mail. The day I was supposed to be in nature I was trapped in an airport. She said February would be a good time to move. It wasn’t. We moved in April. Still, pretty close. The final date she gave was August 2018. Now. She said starting August 1, 2018 my project would be in “a golden space.” The cosmos would “be like Santa Claus” raining down gifts. “It’s all happening,” she said. *Knockonwood* but this forecast is also looking good. I closed part one of the book two weeks ago. That’s 100 pages in the can. Early work on Part Two is underway. The book is unfolding in front of me. It's as clearly as I’ve seen it. It really is a golden space. I feel hesitant to say this out loud. I don't want to jinx anything. But what good is life if you spend it waiting for something bad to happen? Be thankful for the golden space when it pays you a visit. In the movie Boyhood there’s a scene where Ethan Hawke gives his son a mixtape called The Black Album made up of all the best solo Beatles songs. Like the Beatles never broke up. You can watch the scene here. Someone recreated The Black Album — whose concept and tracklisting Ethan Hawke actually made — on Spotify and it's a great listen. The transition from John's "How" to Paul's "Every Night" is unreal. An unexpected surprise was "No No No," a coke song by Ringo from 1974. In our house we're hooked on solo John. We watch the “Imagine” video often with our son. “Oh Yoko” has long been one of his favorite songs. (Ringo and Yoko are his current favorite Beatles.) This weekend “Beautiful Boy” and “Watching the Wheels” were on repeat. Both songs are about the five years before John's death when he focused on raising his son with Yoko. The most beautiful time. Sadly this led me into a deep dive on John’s 1980 murder. The same day this iconic photo of John and Yoko was taken in their house. The same day John autographed a record for the man who would murder him six hours later, asking “Is that all you want?” and his killer smiling and nodding in reply. There’s even a photograph. Hours later John was shot in the back point blank four times in front of his apartment on 72nd Street. The police arrived two minutes later and rushed him to the hospital in the backseat of a squad car. He was gravely wounded and could not speak. At the hospital doctors tried and failed to resuscitate him. According to the surgeon and multiple witnesses, at 11:15 when they pronounced John Lennon dead the Beatles song “All My Loving” came on over the hospital speakers. “All My Loving” was released on November 22, 1963. The same day President Kennedy was shot and killed in Dallas. “All My Loving” was the first song the Beatles played on the Ed Sullivan Show in February 1964. The first time America saw them. Watching it now their power is still startling. They remain eternally fresh, different, new. In the days after John’s death, mourners gathered outside his apartment. Their singing kept Yoko up at night. She released a statement thanking them for their love for John, but asked them to spend ten minutes in silent prayer in Central Park the following Sunday instead. The request took on a life of its own. Days later, 250,000 people gathered in Central Park for ten minutes of silence. Millions of people around the world joined them. Every New York City radio station went off the air for the entire ten minutes, too. Is there anything that matters that much anymore? "If the glove doesn’t fit…"
I worry that the left’s narrative about Trump being compromised (Kompromat in italics, as journalists love to write) might backfire. I won't be surprised if there's a pee tape and I'll be equally unsurprised if his supporters don’t care after it turns up. The same video will be declared evidence of treason and evidence of patriotism. The battle lines are drawn. The suggestion of blackmail seems to promise a moment of confession where Trump admits that the Russians had him all along. But I don't think it's like that. It's more like Trump and Putin/Russia are those insta-best friends who totally love all the same songs and hunt all the same endangered species. Trump’s motives are barely multi-layered. Like Putin, a shady autocrat is who he is. The truth of this whole saga is hiding in plain sight. The sequence of events going from the Trump Tower meeting to Trump’s public statements to the timing of the hack of Hillary Clinton’s emails are laid out so cleanly it’s like a mystery novel for a five-year-old. It couldn’t be more obvious. The actually hard question is whether it matters. So far it doesn't seem like it. We knew much of this when people went to the voting booths. It didn't dissuade people then. Its influence did just the opposite. When the whole truth is known, it might be checkmate. Or the familiarity of the story could feel more like "okay, and..?" Mueller seems likely to prove that illegal behavior has occurred and is occurring. Some of it possibly threat-to-the-Republic illegal. But to Trump's supporters, enforcement of the law will seem like cheating on a technicality. He won, albeit on an electoral college technicality. Isn't that exactly how the Deep State would execute a coup? This is why the revelations of the relationship between leading conservative organizations and the Russians are just as troubling. Funding for the NRA and other conservative causes has been coming directly — and illegally — from Russia for at least the past five years. Trump is not an aberration. Something bigger is going on. We don't yet know what it is. But, again, it's hiding in plain sight. Seven Republican Senators visited Moscow literally on the 4th of July and met with sanctioned Russian officials. Rand Paul, another prominent Senator, flies to Moscow this week to meet with others. This isn't clandestine. This is brazen. We’re in the deep end. The only thing we know to expect is that underneath the fog and noise, the truth will be right here in front of us all along. "My goal has always been to incorporate every experience, good and bad, and spin it around until it makes something interesting or something useful. I try to draw inspiration from anything and anywhere. You just have to open your eyes. If you’re open to people and open to situations, there’s always so much more going on around us than we realize." A hopeful thought. Here's to opportunities in everything. When OJ Simpson was tried for double-murder in 1995, he hired the most expensive attorneys money could buy. He needed them. A glove with the murder victims’ blood had been found on his property, his hair was found on a victim’s shirt, and he had seemingly confessed in a suicide-ish note read live on television during the Bronco chase. But by the time the trial was underway months later, the certainty of events seemed to slip away. This was no accident. With the deck stacked against them, OJ’s attorneys adopted a strategy of sowing confusion in the minds of the jury and public. They attacked and questioned every fact. They threw endless mud against the wall, not caring what stuck. The goal was to create such an overwhelming amount of information that the basic facts of the case would be forgotten. The prosecutors claim there’s DNA evidence against our client. Well, what are your credentials? Can you explain the science of DNA? Can you be more specific? How many people in California have DNA like the sample you claim matches my client? How about in the world? Where is the list of these people? Are the police even trying to solve this case? It became hard to see through the fog. Confusion was the first part of their strategy. The second part was to accuse the accusers. The police were the real criminals. After the defense showed that the lead detective had a racist history, the rest of the case was brushed with it. How can you trust anything they say when the investigators are biased against our client? It was all a plot to frame OJ. By the end of the trial, everything about the case was perceived through the defense’s narrative. The questions overwhelmed the facts. The OJ defense is what Donald Trump is using to fight the Mueller investigation. He’s creating confusion about every fact. He’s accusing the accusers. And it’s working. Polls show that 53% of the population believes the Mueller investigation is politically driven and 61% of Republicans say the investigation is “unfair.” Both numbers are growing. Trump is muddying the water to distract from the facts of the case. He instigated a dubious and showboating FISA warrant release, a confusing report about the FBI’s investigation into Hillary Clinton (that proved the opposite of what Trump claimed), and he makes frequent inflammatory attacks and threats against the FBI agents and officials in charge of investigating him by name. These are crazy things to do. But they have a purpose. They create confusion in the minds of Americans about whose investigation this is and what it’s even about. This worked for OJ. It's working for Trump too. All four major US intelligence agencies (CIA, FBI, NSA, and Director of National Intelligence) and now the Senate Intelligence Committee have stated that Russia created an influence campaign to manipulate the 2016 presidential election for Donald Trump and the Republicans. It wasn’t subtle either. Russia’s hackers broke into the email accounts of Trump’s opponent and leaked their contents to the media shortly after Trump said on live television, “Russia, if you're listening, I hope you're able to find the 30,000 [Clinton] emails that are missing. I think you will probably be rewarded mightily by our press.” He said this just weeks after the Trump Tower meeting between his staff and representatives for Putin. The Mueller investigation knows a lot more than we do. But even if Mueller creates an airtight case against Trump, he only has indirect influence on what happens from there. It’s up to the House of Representatives — 435 elected Congresspeople — to determine the President’s guilt or innocence of possible impeachable offenses. This has only happened twice before in American history. Most recently in 1998, when President Clinton was impeached for perjury and obstruction of justice for lying under oath about a woman he had sexually harassed. It was a party-line vote: 221 Congressman (almost all Republicans) voted in favor of impeachment and 212 (almost all Democrats) voted against. Clinton’s case then went to the Senate where votes from two-thirds of members are required to remove the President from office. The votes against Clinton fell well short (45-55 and 50-50), and he was acquitted. Clinton served two more years as President after being impeached. A period during which he had the highest approval ratings of his presidency. He was seen as the victim of a political witch hunt. The public likes a survivor. In the two instances in American history when the President was impeached, the Senate failed to remove them from office both times. The parties stuck by their man and the President kept being President. In November, America will elect the jury that will decide the fate of Donald Trump. All 435 Congressional seats are up for election. Impeachment is meant to function as a kind of trial where facts are heard and justice is determined. But like a lot of things in America, that’s not how things work anymore. The outcome will be determined by which party gets to cast more votes in the decision. If Mueller’s findings are damning and there are more Democrats than Republicans in the House, Trump will be impeached. If the same thing happens and there are more Republicans than Democrats, Trump might not be tried at all. If Mueller's findings aren't damning and there are more Democrats than Republicans, Trump still might get impeached. The gulf between those outcomes shows what a poisonous situation we find ourselves in. Americans have a direct say about this in November. But I fear we’re not yet looking at the midterm elections in their full context. I don’t think we’re prepared for what’s really at stake. Assume for a moment that the charges of Russian meddling are true. That means there are politicians now in office, from the President on down, who knowingly benefited from an illegal manipulation of the 2016 election. The same people who have used the OJ defense to distract the public from whatever happened. Think about this election from the perspective of those politicians. If they lose, they'll get caught for what happened in 2016. Democrats will have the majority in the House, and they’ll be in charge of launching investigations and impeachment. But if these alleged Russia-supported politicians win again, they’ll keep power and be able to stop any investigations, just as they're doing now. If you cheated to get elected before, you're 1000 times more incentivized to cheat again. These politicians didn’t face any consequences the first time because they won. The only way to make sure it stays that way is to keep winning. And the way to do that is by cheating more. Based on these incentive structures, the coming midterms could be the most manipulated in American history. In the 60 or so races that will determine who controls the House of Representatives and the fate of Trump, there's potential for disinformation campaigns, hacked emails, voter tampering, and so on. As long as the dirty candidates win, no one will do anything about it. I'm probably naive, but my money is still on Democrats squeaking out a slight majority in the House and Republicans continuing to control the Senate. So what would happen in that scenario? In 2019, the House will launch impeachment proceedings against the President. This will be a messy and lengthy process. Like the OJ case, the circus to end all circuses. Trump’s defense will depend on confusion, distraction, and destruction. Whatever the cost to the country. Ugly won’t even begin to describe it. This could even be when a war gets started. By 2020, the Democrat-controlled House will vote to impeach Trump. But the Republican-led Senate — where it’s impossible to get a two-thirds vote on anything — will not remove him from office. Even if Trump is impeached for treasonous acts, he’s likely to stay President. And, like Bill Clinton, potentially a more popular one than before. Which leads to the unthinkable: that in 2020, the President of the United States will be impeached and run for reelection in the same year. And in that scenario, I’m certain that Trump will win. By the end of the OJ trial, the two murder victims were a distant memory. The case wasn’t about them anymore. It was about OJ’s legal dream team, a racist LAPD, a cast of characters, and the 24-hour media that sprang up from it. The theater to determine the truth overshadowed the truth itself: that two people had been brutally murdered and justice had not been served. OJ got away with it. Trump very well may too. There’s an unlikely move worth playing out. Republicans could choose to be bigger than politics and turn on Trump. They could lead the impeachment charge against him, all the while knowing that Vice President Mike Pence — more right-wing than Trump — is waiting quietly in the wings like a Westworld host in sleep mode. Republicans save the country and they stay in power. Win-win. But getting there means giving Democrats a victory in their fight against Trump, something the tribalism of today will not allow. This reveals an overlooked missed opportunity from the past: that Democrats could have asked Clinton to step down because of his poor values so Al Gore could become President with a clean slate. This was unthinkable at the time, but isn’t that what our values would demand if the Clinton scandal happened today? Thinking ahead to a (distant) post-Trump world, I try to imagine what a Democratic or oppositional platform might be. And I keep coming back to something similar to what Republicans are doing now: that emotions will lead them to treat the moment as a giant “Undo,” erasing as much of what Trump has done as possible. A mirror of the Republican strategy in the post-Obama years. Let’s say that happens. We'll then spend the next thirty years with each side undoing what the other has done. Where does that lead? How long can a society afford to repeat that cycle? How far behind will the US fall? As distasteful as it will feel, post-Trump leaders should look to build on and evolve what he has done rather than just take an eraser to it. Progress doesn’t only come from making something good and pure. It also comes from making things better. We’re going to need a lot of that in the future. I'm a guest on a new episode from the podcast Overshare. You can listen here. The interview was at an interesting moment: about to leave New York City and trying to teach myself how to be a writer again. I enjoyed this conversation. Yesterday I had lunch with a friend. My friend had recently spoken with the CEO of a company that he wasn’t a big fan of. After talking to this person, the friend was pleasantly surprised to discover that the CEO was smart and nice. My friend was reassessing his feelings about the company as a result. I listened to the story with interest. Then I asked a somewhat odd question. How important did he think it was to be smart and nice? Look around. Aren’t most people you know nice? Aren’t most people you know smart? There's data to support the idea that people are smarter than they used to be. The Flynn Effect observes that our IQs have increased significantly over the past century. They're still rising. According to that metric, we’re smarter than ever. And yet consider the world around us. The problems we’re creating. The problems we’re ignoring. This happened even while people were getting smarter by the generation. And being super nice about it, too. There’s no easy Other that we can honestly point to as the root of all evil. It’s not like there’s some island of supervillain a-holes who are responsible for everything bad in the world. (No Manhattan jokes, please.) There’s just us. This means that nice and smart people have played central roles in making the world worse. That might not have been their intention, but it was the outcome. Nice, smart people have done and will continue to do bad things. In one of Hunter S. Thompson’s books he writes about a night in the late ‘60s when he picked up a longhair hitchhiker. Not long into the ride, Hunter discovers that the guy is a jerk. Hunter can’t believe it. Long hair had always been a signal for who he could trust. Now even the jerks had grown their hair out. His compass had to change. Could it be the same with smart and nice? Maybe social evolution — in overdrive thanks to social media — will make everyone nice. Being nice works to our advantage, so “nice” genes become more dominant. Sounds chill. But then how will we know what’s going on underneath the surface? Who’s really inside? The media framed the 2000 election between Bush and Gore as the contest to find “the guy you’d rather have a beer with.” But this is arguably the least meaningful lens through which to make a decision. It’s just the path of least resistance. Tell someone that what they feel is also what's right and rarely will they disagree. In the long run, “nice” and “smart” might be traits we have to recalibrate on. If someone isn’t nice or smart that’s a negative, but if someone is nice or smart maybe it’s only a neutral quality rather than a positive one. Like long hair, once everybody’s got it the signal means less. Last month my family and I left New York. As of a week ago, we’re living in Los Angeles. Leaving NYC was a big deal. I lived there for 18 years. I love the city. I am a New Yorker. When I think about what in life I’m most proud of, it’s moving to New York. I moved there right after college. Getting there had long been my dream. New York was never easy but it treated me well. It’s where I started my career as a writer. It’s where Kickstarter happened. It’s where I made many great friends. New York and I had a perfect goodbye. My last dinner was with an old friend at St. Anselm, my favorite restaurant. Afterwards we want to a DIY show in Queens. I was 26 again. For my last meal the next morning, I went to the same deli in the Lower East Side where I went everyday for 15 years. I ordered the same egg-and-cheese sandwich on a toasted everything bagel. I said hi to the same guys who have worked there since I moved to Ludlow Street in 2002. I told them it was my last day. After hearing the news, the two men came around from behind the counter and warmly patted me on the back and shoulders. They said they hoped this would be a good decision for my family and wished us well. I cried. Standing there in the deli holding an aluminum foil-wrapped egg and cheese while two men showed me love, I had tears in my eyes. The only time I cried during my departure. Shoutout to Happiness Deli, shoutout to egg and cheese sandwiches, and shoutout to New York City. Our reasons for coming to LA are unoriginal. A mix of weather, wanting change, and recognizing that this is a window before our child starts school when we can take chances. LA probably isn't our last stop but we’re having fun with it. And while we’re here, I’m writing a book. Late last year I signed a book deal with Viking Press. I’ve been working on it full-time since November. My deadline to finish is the end of this year. I’m enjoying the experience very much. I’ve given myself fully to it. When we were in New York, I spent day after day isolated in an empty apartment with no internet, just writing and reading. The depth of the work is pure pleasure and unlike anything I've done before. I look forward to working on it everyday. So what's the book about? Well, it’s not a memoir and it’s not about Kickstarter. It’s a manifesto, and still in progress. I'll leave it at that for now. The book should come out late next year. Before coming to LA, my wife and I went to the TED conference in Vancouver. Of all the talks, something that a philosopher named Will MacAskill said about the age of humankind stuck with me the most. MacAskill said that if you compare Homo Sapiens to other species on Earth, humans are the equivalent of ten years old in our lifespan. We are very early in our lifecycle. Not even adolescent. There should be many tens of thousands of years of human history ahead of us. But we act like this is the last party — who cares if anybody cleans anything up? Which, now that I think about it, does sound like the behavior of a ten-year-old. I guess I shouldn't be surprised. A close friend recently decided to learn to do a perfect free-standing handstand. No leaning against a wall. Not for just a few seconds. Instagram good. She decided to start her journey by taking a handstand workshop at her yoga studio. She then practiced for a while but wasn’t getting the results she wanted. So, she hired a handstand coach. Yes, I know what you’re thinking, but evidently this is an actual thing that exists. In the very first lesson, the coach gave her some wonderful advice. “Most people,” he said, “think that if they work hard, they should be able to master a handstand in about two weeks. The reality is that it takes about six months of daily practice. If you think you should be able to do it in two weeks, you’re just going to end up quitting.” Unrealistic beliefs on scope – often hidden and undiscussed – kill high standards. To achieve high standards yourself or as part of a team, you need to form and proactively communicate realistic beliefs about how hard something is going to be. To do anything as well as it should be done will take all of your effort. It means giving all of yourself until it's right. It means humbling yourself before it. This is the thing that we — multitasking our way through life — find hardest to do. We respect our own time but disrespect the time of the things that need doing. We do too much, we do it too fast. And when it doesn’t work we wonder why. The alternative is to give all of yourself to a small number of things. To turn things off, to say no, even to opportunity. It's a scary prospect. But it’s only through sacrifice and dedication that someone can make something worth making.